I don't know if it's because it's a passion of mine or because my kids got the gene, but boggle is a family favorite in my household. Anyone who knows me well already knows this about me, but I actually used to read the dictionary as a kid to help my boggle score. Today I caught the kids playing the 5x5 grid and Haldan playing Wordsplay (the online version) on my laptop. It's not such a bad pass time on a rainy day. Both of the children are excellent spellers and Little Man especially loves to find long, challenging words for the higher points. We have almost every boggle game ever made... seriously. 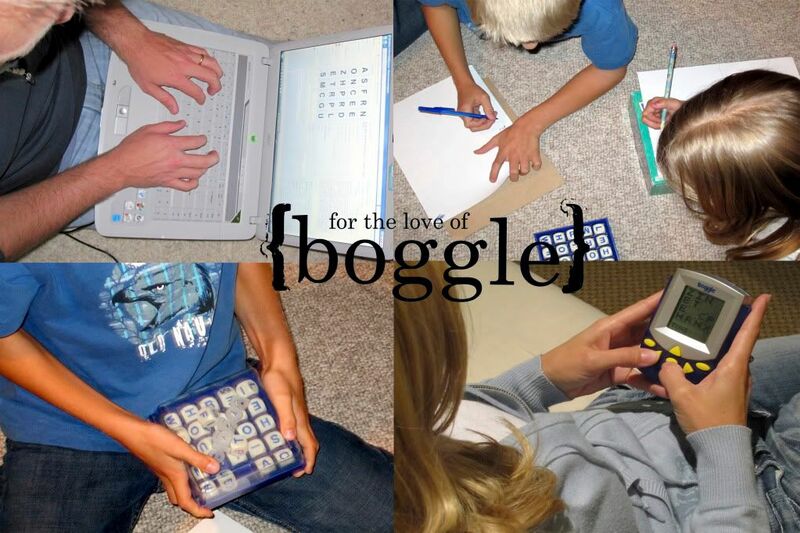 Did you know they have a body boggle too? I recently bought the boggle app for my iphone only to learn that I couldn't download it. It's a long story, but the short version is that my phone is unlocked and too old now. I'm patiently waiting until our plan expires with iwireless to be able to get an upgrade. I'm thankful that life always seems to present new photo ops. Rainy days are especially challenging for me. There seems to be an infinite amount forcasted in our future. Today Haldan got off work early. It was a pleasant surprise and we spent the afternoon together. We had Panera soup for lunch and then saw "Couple's Retreat" at the movies. It was a fun, lazy afternoon together. A perfect way to spend a rainy Friday. We really struggle to find sitters, so it's great to get some alone time.